20 amazing things the Spirit of God does now. If you are looking for facts about the Holy Spirit, then these 20 amazing facts will blow you away! The Holy Spirit is entirely God. 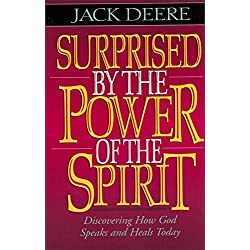 Once one comes to this reality of the full Godness of the Holy Spirit, the expectations of who he is, what his purposes are, and how he is treated are entirely revolutionized. John 14 and 16 make his position in the Trinity very clear. The Holy Spirit is for us. In John 14:16, Jesus assures his followers he will ask the Father to send them a helper, an advocate. The Holy Spirit is intended to be in relational partnership with every believer in their Christian journey. The Holy Spirit replaced Jesus on Earth. The Holy Spirit was intimately involved in our redemption. In Matthew 1:18 we learn that the Mary conceived Jesus by the Holy Spirit. This intimacy of the Holy Spirit’s involvement in Mary’s conception should encourage each believer that he was fully involved with our redemption from the very beginning. The Holy Spirit is essential to our salvation. The Holy Spirit has a clear purpose on Earth. According to John 16:8, he has come to convict the world of sin, righteousness, and judgment. His entire mission is to draw mankind to a place of decision about eternity. John 16:12-13 teaches us that his purpose with believers is to guide us into all truth and to tell us what is to come. We are not in this walk blindly, but we have a guide that knows what he is doing and where he is going. We should follow. The Holy Spirit points to Jesus. John 15:26 declares he intends to guide us to Jesus and who he is. The Holy Spirit wants us to become more like Jesus, and he wants to do it for us and with us. The Holy Spirit is a promise from the Father. In Acts 1:4-5 Jesus encourages the disciples to go and wait for the promise of the Holy Spirit, a gift from our Father. We, also, must realize the Father is giving us his Holy Spirit for our Christian journey. The Holy Spirit brings good fruit. Galatians 5:22-23 tells us that we have the fruit of the Spirit available for our lives. We can experience a supernatural depth of love, joy, peace, patience, kindness, goodness, faithfulness, gentleness and self-control. The Holy Spirit is how we defeat sin. Galatians 5:16-17 teaches us that the Holy Spirit and the flesh (our desires that are contrary to God’s ways) are the opposite of one another. Inviting the Holy Spirit into our lives is an invitation to God in our circumstances. We have God on our side in our fight against the things that distract us. The Holy Spirit is better than following the rules. Galatians 5:14;18 teaches us that the law can be summed up into loving our neighbor and that the Holy Spirit is better than the rule book. When we invite him into our relationships, we are living a more natural life than just doing it on our own. The Holy Spirit sets our minds free. Romans 8:5-6 shows us how our minds, when governed by the Spirit, results in life and peace. We can have a better life filled with peace by giving our will over to the Holy Spirit. The Holy Spirit brings unity to Christians and tears down walls. 1 Corinthians 12:13 declares that it is by the Holy Spirit that we are baptized into one body together, taking away all socioeconomic, racial and gender barriers and allowing us to live as one people. The Holy Spirit assures our salvation. According to Ephesians 1:13-14 we are sealed with the promised Holy Spirit. In Roman law, a seal could only be broken by death. There is no turning back. The Holy Spirit makes us wise. Isaiah 11:12 says that he brings us wisdom, understanding, counsel, might, knowledge and a healthy fear of the Lord. We have the very wisdom of God on our side in all that we do. The Holy Spirit gives us gifts. 1 Corinthians 12:4-11 teaches us that the Holy Spirit has supernatural gifts to provide us with. These gifts are for the body to build one another up and for each believer to be able to reach the lost more effectively. The Holy Spirit brings spiritual freedom no matter what. 2 Corinthians 3:17-18 assures again that the Holy Spirit is fully God, but Paul goes onto say that wherever the Holy Spirit is, there is freedom. When we have the Holy Spirit in our lives, we can walk into a new feeling of freedom no matter what the situation past, present or future. The Holy Spirit can be grieved. Ephesians 4:30 shows us that our actions, especially toward one another, can bring a disappointment to the Holy Spirit. This does not imply in any way that he pouts, but instead, we can expect him in those moments to convict us and brings us into his ways. The Holy Spirit is in love with us. Romans 15:30 encourages us that the love of the Holy Spirit is working in and through us. We need to embrace that the Holy Spirit, in his divine love, is always for us and not against us. 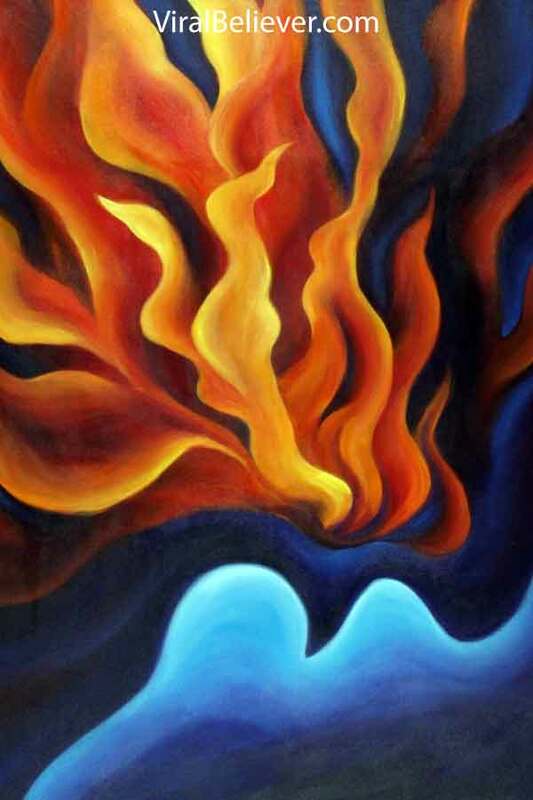 If you would like to learn more about the Holy Spirit, you can visit Pastor John’s website, Come Holy Spirit Ministries. 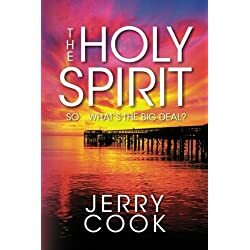 The Holy Spirit: So, What's the Big Deal? John Manning is the former Senior Pastor of Spindle City Vineyard . John is a graduate of Southeastern Baptist Theological Seminary and East Carolina University; he is presently pursuing his Doctorate of Ministry in Christian Leadership from Southeastern University. His concentration is on the intentionality of being a Spirit-filled ministry. He is also the founder of Come, Holy Spirit Ministries. John has been serving in some capacity of ministry since he 1992 and is the son of missionaries to Latin America. In addition to ministry, he has also worked in the addictions field and has 15 years in education. He is married to Shelly and is the father of two wonderful children. 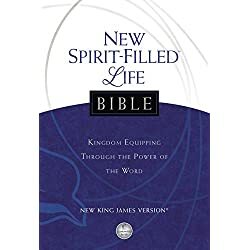 Who Is The Holy Spirit And What Does He Do?